Soul II Soul were and are amongst the most important and prominent parts of the British R&B explosion of the late 1980s - renowned for their dedication to that genre and to their groundbreaking part in ensuring that UK soul and new jack swing were finally taken seriously on the club and dance scenes. Soul II Soul have been active across four decades, producing a plethora of high class vocalists, creating music that has topped the charts here and abroad and turning founder members Jazzie B, Caron Wheeler and Nellee Hooper into household names. Their overarching legacy has been to ensure homegrown music of black origin can stand tall next to what was once considered more exalted American counterparts. They've subsequently inspired not just music but club culture in all its forms, from fashion to film. They've been nominated for numerous awards – five Brits for starts – and retained a profile to match their high calibre output. In common with their ska and reggae forebears, Soul II Soul initially started out as denizens of the London-based sound system collectives. Their sound was matched to a distinctive street level look of Funki Dred, which matched the DIY punk ethic to West London's Afro-Caribbean sense of style. Hornsey born Trevor Beresford Romeo was the man in charge who helmed their revolutionary approach. A DJ, producer and entrepreneur who became known as Jazzie B, he'd been a veteran of sound system culture since the late 1960s and 1970s and had the vision for Soul II Soul as early as 1982. Enlisting talented kindred spirits has always been a Jazzie B trait and he hit gold when he gathered the nucleus of his venture together, corralling Nellee Hooper, Simon Law, Phillip Harvey and Caron Wheeler under his soulful umbrella. The early dub plate 'Fairplay' made such inroads on the London underground scene that a contract with Virgin Records seemed like the most sensible thing to do. Commercial successes arrived in 1989 when the singles 'Keep on Movin'' and the immortal 'Back to Life (However Do You Want Me)' emerged as immaculate mission statements. Massively successful here and in America these two compositions established the outfit internationally and made an overnight sensation out of Wheeler who has since gone on to mainstream success and is currently working with Jazzie on a new project as well as finishing a solo album. The cuts were taken from debut album Club Classics Vol. One – throwing down a gauntlet to all comers as it stormed the albums charts and sold triple platinum here and double platinum Stateside. Fusing wide ranging influences, from hip hop and Chic-like expertise to older school reggae and soul (these guys always knew their history), Club Classics Vol. One was one of those revelatory albums that only rarely comes along and can always be returned to with confidence for its sheer musical excellence. The collective banner was vital the album's appeal since Jazzie B (writing under his real name), Londoner Law and Bristolian Hooper shared a wealth of experience and expertise that enabled them to manipulate the studio like an instrument. Other standout cuts on the debut are 'Jazzie's Groove', the dubbed up 'Happiness' and 'Fairplay' (featuring UK reggae prodigy Rose Windross who had been singing professionally while still a schoolgirl). If anything, the follow-up Vol. II: 1990 – A New Decade was even more of an extravaganza since Soul II Soul were in the enviable position of bossing a new scene they themselves had initiated. The cast list may have changed but the quality remained breathtaking as more hits poured onto dance floors and radio stations. Ecstatically received this disc began with the brooding intent of 'Get A Life' (featuring Marcia Lewis) as well as further singles 'A Dream's A Dream', Victoria Wilson James at the mic, and 'Missing You', with American diva Kym Mazelle in the vocal booth. Fellow traveller, British jazz supremo Courtney Pine liked what he'd heard thus far and willingly jumped in to contribute distinctive saxophone to 'Courtney Blows'. 1992's Volume III – Just Right took a left turn away from electronica and Afro-flavoured funk into more pure soul pop grooves but is actually ripe for rediscovery today. Jazzie B himself moved forward in the mix offering his patent blend of lovely smooth rap and careful lyricism. The return of Wheeler on 'Take Me Higher' was great news and there are stellar vocals elsewhere from Kofi and Ritchie Stephens. It's a different vibe but a late night mood acts as a fine counterpoint to the upfront club sounds of its predecessors. Grand chill out sounds. Volume IV – The Classic Singles 88-93 delivers on its promise, also adding useful extras like the Bonus Beats version of 'Back To Life', and alternative mixes from the 12-inch singles 'Keep on Movin'' and 'Fairplay'. Back to the studio time for Volume V – Believe has been called a diamond in the rough and it certainly qualifies as one of those classic discs that slipped past the radar and needs re-examination. Wheeler reprises her glorious soul chops on 'Feeling', 'Ride On' and 'Sunday', there is a heavier emphasis on ballads and Ohio Players mainstay Junie Morrison lends a production hand. It may be a more modest, dare one say more mature proposal than the earliest work but Believe is a fine thing. Jazzie B accepted it was time to age up and he made sure the ensemble hit their straps with a selection of neat soft soul shuffles. As befits a double Grammy winning collective who also have the distinction of picking up three prestigious US Soul Train contemporary R&B gongs Soul II Soul are well anthologised here. Classic Masters, their second compilation is highly desirable and there is a fine 5 Album Set comprising Vols 1, II, III, V and The Club Mix Hits that will appeal to any completist. The brilliance of Jazzie B's ideal has evidently been fulfilled but he keeps on moving. This is British R&B at its absolute peak. When American urban-contemporary radio was bombarding its listeners with one Guy clone after another in the late '80s and early '90s, British neo-soulsters like Soul II Soul, Lisa Stansfield, and the Chimes offered highly creative and gutsy alternatives. With influences ranging from Chic to hip-hop to African music, Soul II Soul's debut album, Club Classics, Vol. 1 (titled Keep on Movin' in the U.S.), was among the most rewarding R&amp;B releases of 1989. Soul II Soul leader/producer/composer Jazzie B takes one risk after another -- all of which pay off. The group enjoyed major hits with the Chic-influenced gems "Keep on Movin'" and "Back to Life" (both of which feature the gifted Caron Wheeler), and equally superb are the African-influenced reflections of "Dance" and "Holdin' On," the soulful grit and intensity of "Feel Free," and the hypnotic house music of "Happiness." Though Wheeler was Soul II Soul's best-known singer and went on to enjoy a career as a solo artist, Rose Windross and Do'Reen (both expressive soul divas) also do their part to make Club Classics, Vol. 1 the artistic triumph that it is. When a debut album is as promising as Soul II Soul's Keep on Movin', there are always fears of a sophomore slump -- meaning that the second album won't live up to the promise of the first. But Vol. II: 1990, A New Decade, Soul II Soul's sophomore album, isn't the least bit disappointing. Although Keep on Movin' (which was titled Club Classics, Vol. 1 in England) remains the British outfit's most essential release, this is an excellent follow-up. Soul II Soul suffered a major loss when singer Karon Wheeler left to pursue a solo career after Keep on Movin'; it was a major blow, but certainly not a fatal one. Jazzie B. 's collective fares well without her on sleek urban/dance/neo-soul grooves like "Missing You" (which boasts a guest appearance by British dance diva Kym Mazelle), "People," and the haunting "A Dream's a Dream." Jazzie realized that Wheeler's departure was a big loss for Soul II Soul, and when the time came to record a second album, he filled the void by featuring talented, expressive female vocalists such as Victoria Wilson-James, Lamya, and Marcia Lewis. However, not every tune on this CD employs a vocalist. "Courtney Blows" (just to give one example) is an acid jazz instrumental that features British jazz saxophonist Courtney Pine; the tune isn't hard bop or straight-ahead jazz, but it's a pleasing example of dance music with jazz overtones. 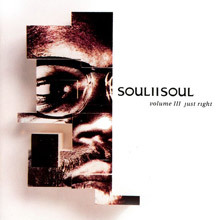 Again, Keep on Movin' is Soul II Soul's most essential album, but Vol. II: 1990, A New Decade is also well-worth the price of admission. Released in 1992, Just Right, the third album from this most innovative of dance acts has a more relaxed soulful sound than some of their predecessors. It features some wonderful vocals from Caron Wheeler particularly on ‘Take Me Higher’ and Rick Clarke on the title track. Another highlight is the flute playing of Gary Barnacle on both ‘Storm’ and ‘Intelligence’. Although though not as successful as some of their previous albums it is worthy of consideration from an act who influenced so many dance artists during the development of the genre. This compilation captures the essence of ultra-sophisticated R&amp;B and house music at a turning point, before the sample-heavy storm of American R&amp;B took over in the early '90s. 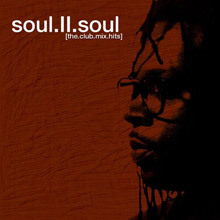 Soul II Soul brought an organic feeling to their music, which shines through on this stellar compilation. The music was sleek, the vocals were clear, and the beats were irresistible. This collection assembles the hits and singles from the ever-evolving act's first three albums. "Back to Life," the group's biggest stateside hit, is included in its single form, which was dramatically different from the original album version, which made many purchasers of Keep on Movin' very disappointed when they realized the song they heard on the radio was clearly not the one on the album. Other singles, such as "Jazzie's Groove" and "A Dream's a Dream" are also included in their radio/video versions. The album includes their other big hit, "Keep on Movin'" (unfortunately in an edited form -- the full-length album version was better), as well as other key singles, such as the rousing "Joy," the gritty club hit "Fairplay," and the ballad "Move Me No Mountain." From slick R&amp;B ballads to Philly-inspired soul, from hip-hop to house music, Soul II Soul's hit collection offers up a musical smorgasbord that neatly highlights the outfit's greatest successes. 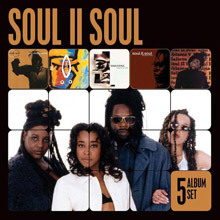 As a final note, this album is only available as an import and has yet to see the light of day in the U.S.
Six years after they revolutionized R&amp;B and soul with their debut album, Keep on Movin', Soul II Soul returned with Vol. V: Believe. 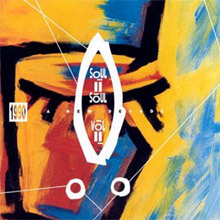 Since their debut, the soul collective had been struggling to regain their position as musical innovators; in the process, they turned out two confused albums that had their moments, but nothing quite as stirring as their initial singles, which were collected on the British-only Volume IV: The Classic Singles. Believe, their fourth album of original material, doesn't necessarily make a case for Soul II Soul as pioneers in the mid-'90s, but it does represent something of a comeback. Where their two previous albums were muddled affairs, Believe is clear and confident, filled with fully formed songs. 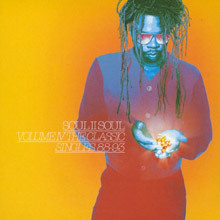 It helps that Jazzie B, the leader of the group, has persuaded former members Caron Wheeler and Penny Ford to make appearances on the album, and has recruited some genuine new talent that helps spark him into recording his best music since the group's debut. Granted, it doesn't push down many boundaries, but Believe fits comfortably into the laid-back, jazz-saturated grooves of '90s R&amp;B. 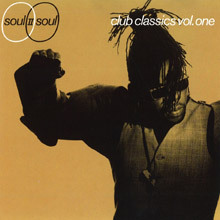 Released in 1998 this 13 track compilation of Soul II Soul’s best known club hits has remained a steady seller for one of the finest dance acts of all time. Led by the legendary Jazzie B this mix album includes many favourites from a stunning accappella version of ‘Back To Life’ featuring Caron Wheeler to a great new version of ‘Jazzie’s Groove’. If you like the best of funky dance – groove on! 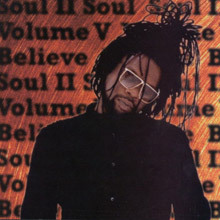 Led by producer/songwriter/vocalist Jazzie B , Soul II Soul were one of the most innovative R&amp;B /Dance acts of the late 80s. They created a unique blend of soul, disco, reggae and 80s hip hop which bourgeoned in London and spread to America where they also gained success. This 5CD Box set includes their most successful 5 albums in original form with LP style card sleeves. They are Club Hits Volume 1/Volume II/ Volume II/Volume V/Club Mix Hits which comprehensively tells their remarkable musical story.